MapleSoft Enterprises started in 1999 with DayCare 2000 and since has added additional programs such as MapleSoft Giving. The goal of MapleSoft is to provide affordable software that works great. We don't compare ourselves with others, instead we set goals that strive for excellence. We ask customers to give us feedback and ideas in what they want. If it benefits the majority or is just a great idea and it's do-able then we try to implement it. We encourage customers to download upgrades. Upgrades are Free for the first year and discounted after that. Instead of Conforming, we strive to be Creative. Spread the word and let others know that they can download or request a CD and try our programs for up to 30 times without paying anything. We also provide totally free programs such as our Checkbook program that can even print a profit and loss report. We also encourage customers to contact us especially via email. We do our best to get back to you quickly with real solutions. Windows can be tricky with all the different programs and hardware out there - sometimes computers just don't behave, but we will do our best to help. 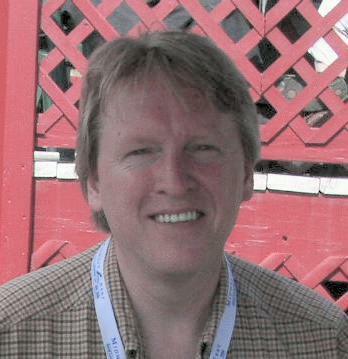 Richard Perryman "the founder of MapleSoft Enterprises" has been writing database program since the mid 1980's. His first computer was an IBM XT running at a whapping 4.7 MHz. He has a dual degree in Computers & Accounting and is also Certified in Networking and IT Administration. His preferred programming tool is Visual dBase / dBASE Plus. He was raised in Southeast Missouri, but also spent 11 years in California where he first gained his computer skills. He also is a Christian and has tailored many of his programs to help churches and similar organizations. Besides computers - he also plays lead guitar (using a 1978 Gibson Les Paul) in a local Christian band. Click here to hear one of Richard's guitar solos. He also enjoys cars and drives a 1978 280Z Click here to view his car. Feel free to contact MapleSoft Enterprises with ideas or questions and we hope you find our programs beneficial.